Bio Meat: Nectar is a survival horror manga written by Fujisawa Yuki. It was released in 2000 and ran for 12 volumes. The manga as a whole is split into 3 arcs following the protagonists through childhood, adolescence, and adulthood. Fujisawa’s message through the series is evident: science doesn’t necessarily have the correct solution. In the future, when hunger plagues humanity and garbage overflows from landfills, Japanese science finds a solution by creating a creature that consumes everything except glass and metal. These creatures are called Bio-Meat, or “BM” for short, and are kept in a dome where they feast on Japan’s garbage. Once fed, they are gathered, slaughtered, and sold to be eaten by humans. What could possibly go wrong? The government can’t hope to plan for all contingencies. The BM escape and consume everything in sight –including humans. Citizens must run for their lives or be eaten by these horrendous, man-made monsters. To avoid spoilers, I will only say this happens three times overall, and the last time is by far the worst outbreak. I enjoyed the story that Bio Meat: Nectar has to offer. If you have not read any horror manga before, Bio-Meat: Nectar is a good introduction to the genre. The “gore” scenes in Bio Meat are not too graphic, although, the underside of the BM itself (the Japanese BM) is slightly disturbing. The entirety of it looks like a little black turtle with two heads, no eyes, and a giant vertical mouth with human like teeth on its underbelly. From the side of the mouth are weird appendages that look like thin skeletal spider legs that the BM uses to scoop things into its mouth. Stuff of nightmares or at the very least very uncanny valley. What is that? Four mini mouths on each of its legs as well? The hell? 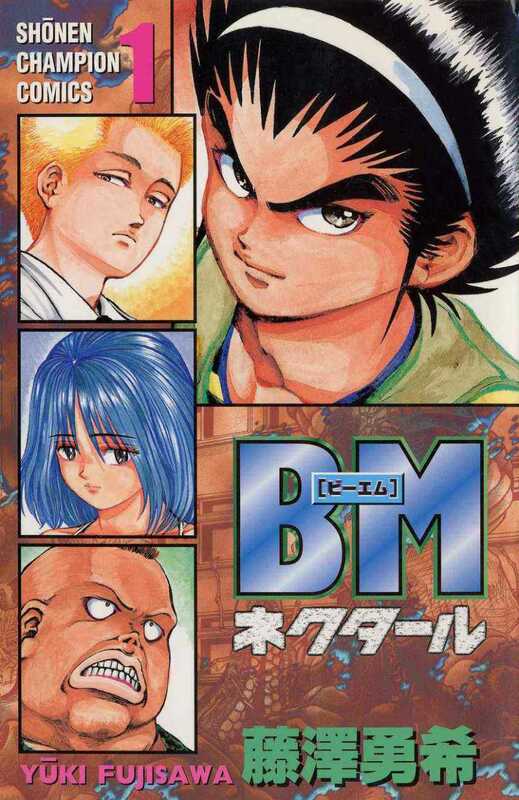 The American BM is much different than the Japanese BM and I am not quite sure how to describe it. The best description I can give is a mouth attached to a bunch of tentacles. I don’t even know how the Americans cut the thing up to make it look like steak, come to think of it how do they cut original BM into steak? This is never really addressed in the series. The art style of Bio Meat: Nectar is very akin to most horror manga; it does its best to look as realistic as possible but sometimes over exaggerates facial expressions and violence to depict the grotesque nature of what happens throughout the manga. Stupid lady, you’re getting eaten! The series follows four characters. Maaya, arguably the main protagonist of the story, is a self-proclaimed bad boy who acts out for attention and to make new friends but goes about it all wrong. As he grows older, he remains the same, a bit brash at times but can becomes a real hero when he needs to protect his friends and innocent civilians –even at the cost of his own safety. Banba, the muscle of the group, is introduced as a bully, but later reveals a heart of gold and someone who cares deeply about those he loves. Shingo, the child prodigy full of smarts and solutions, grows with the series becoming less reserved and caring toward the people around him. Lastly, Marino plays the love interest of the group. Having gone through three BM outbreaks together, she cares about each of the male leads and drops the “victim” role to become a motherly figure toward them. In Bio Meat: Nectar, Fujisawa proposes the idea that science is a double edged sword. We see this through the BM; man-made creatures with a lust for devouring everything in sight. While the BM solve the problem of waste and hunger the creatures themselves are unstoppable monsters. They ravage the city into a near apocalyptic state and the science and technology meant to save humanity endangers humanity instead. In the series, we see scientists pressing forward despite the danger posed to mankind. This concept parallels the world we live in today. Consider genetically modified food. While we are solving issues of world hunger, the impact to the environment (if not properly controlled) can be irreversible. What will our food mutate into? What will happen to the planet and humanity when we keep pressing forward and something goes awry on a global scale? If you enjoy horror/apocalyptic stories then this is definitely one to pick up and read. I, personally, would love for this to become an anime at some point especially with the advent of stuff like Attack on Titan which shows people getting eaten. It’s not too far of a step to show the same being done by the little BM’s. Final Verdict: Find it, Read it, ENJOY IT! Let me know what you guys think of it. I hope your pockets are ready, tomorrow, September 29th, will have a great selection of games to choose from. The “Mini Nuke” bundle includes Fallout, Fallout 2, Fallout Tactics, Fallout 3: Game of the Year Edition, and Fallout New Vegas: Ultimate Edition all for Windows PCs. The pack will be available for $49.99. Pick your cover with Anthony Davis of the New Orleans Pelicans, Stephen Curry of the Golden State Warriors, and James Harden of the Houston Rockets, or Michael Jordan. NBA 2K16 is available on all gaming platforms. The Early Edition will be available for $59.99 and the Michael Jordan Special Edition will be available for $79.99. 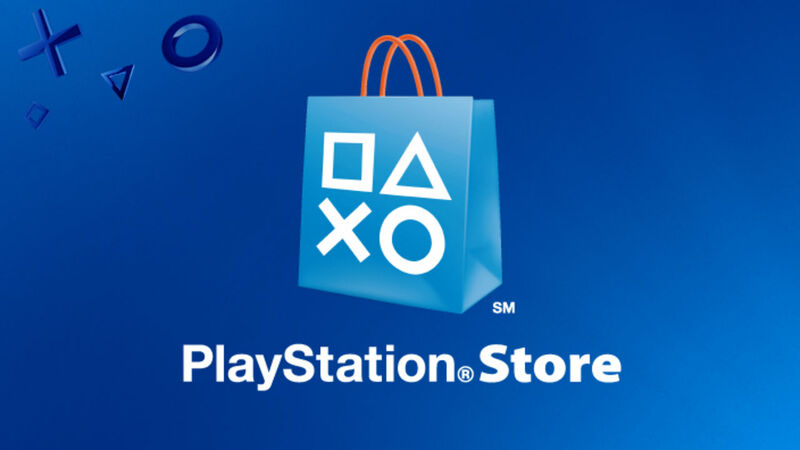 Available on PlayStation 4 and Xbox One for $59.99. Be sure to get the pre-order to get the Team Pro Packs which will be giving the game extra content for 10 weeks. Dance with the Persona 4 cast on the Midnight Stage. 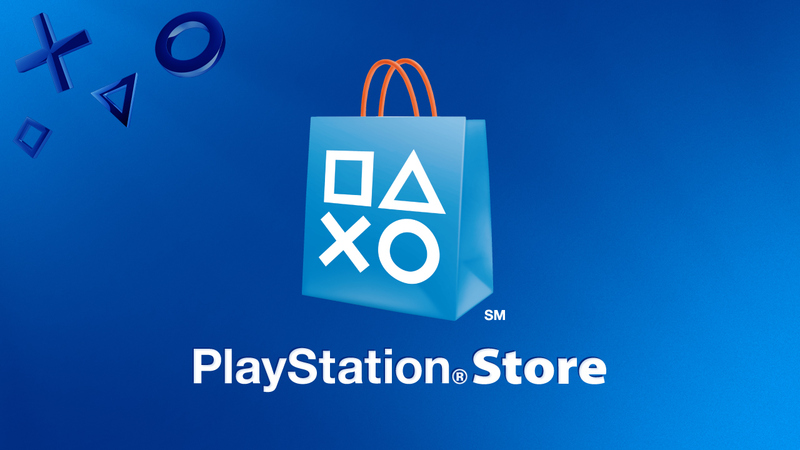 The game is available on the PlayStation Vita for $49.99. This new installment to the Tony Hawk series allows you to customize your skater and courses. The game is available on PlayStation 4 and Xbox One for $59.99 and on PlayStation 3 and Xbox 360 for $39.99. If I had to describe what Danganronpa is, I would say its Battle Royale meets Phoenix Wright. In order tosurvive someone must get away with the perfect murder. 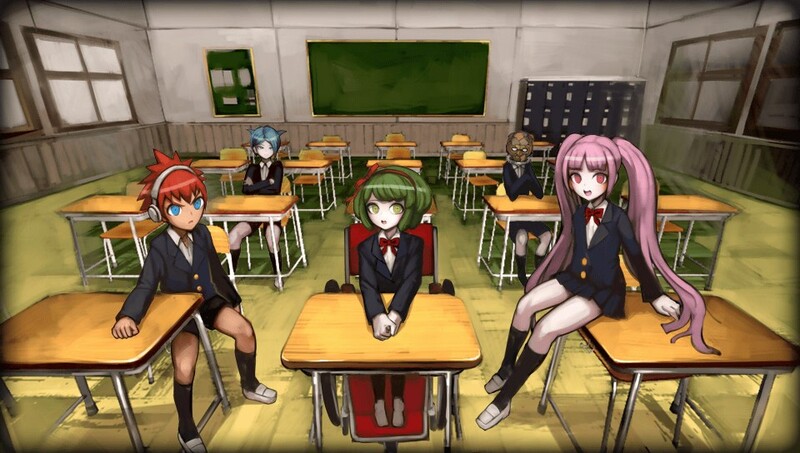 The characters go through class trials to be the last one standing in a battle between hope and despair. 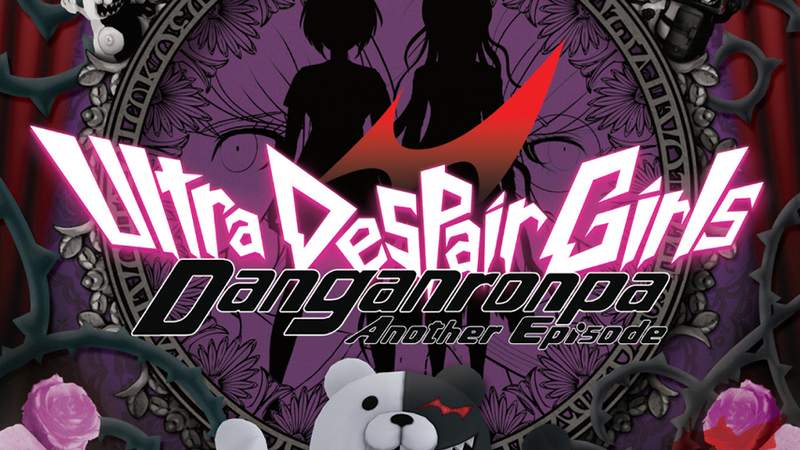 Unlike the predecessors Danganronpa: Trigger Happy Havoc and Danganronpa: Goodbye Despair which play as visual novels, Danganronpa Another Episode: Ultra Despair Girls for the PlayStation Vita drifts away from the visual novel and plays as an action-adventure game. Class trials are eliminated and now you must blast your way through Towa city, destroying rogue Monokumas (evil black and white bears with a thirst for blood) in order to escape. Danganronpa Another Episode: Ultra Despair Girls follows Komaru Naegi who has been captured and imprisoned in an apartment for unknown reasons. When she finally escapes, Komaru discovers the world has fallen into despair and Towa City has been overcome by riots. Komaru is captured by a group of “Li’l Ultimates” (children from Hopes Peak elementary division), forced to wear a Battle Royale-esque wrist band, and play a twisted game where she must escape from homicidal children out to slaughter every adult in sight. Along with Toko Fukawa (the Ultimate Novelist who shares a split personality with a serial killer called Genocide Jack) Komaru uncovers the mystery behind the riots in Towa City, and how they are connected to “The biggest, most awful, most tragic event in human history” and Junko Enoshima. The timeline of the game takes place between the events of Danganronpa: Trigger Happy Havoc and Danganronpa: Goodbye Despair. The horrifying notion of children murdering adults is enough to send chills up anyones spine –it’s the perfect concept for a despair inducing scenario that Danganronpa is known for. However, I felt the story line was slightly too predictable. 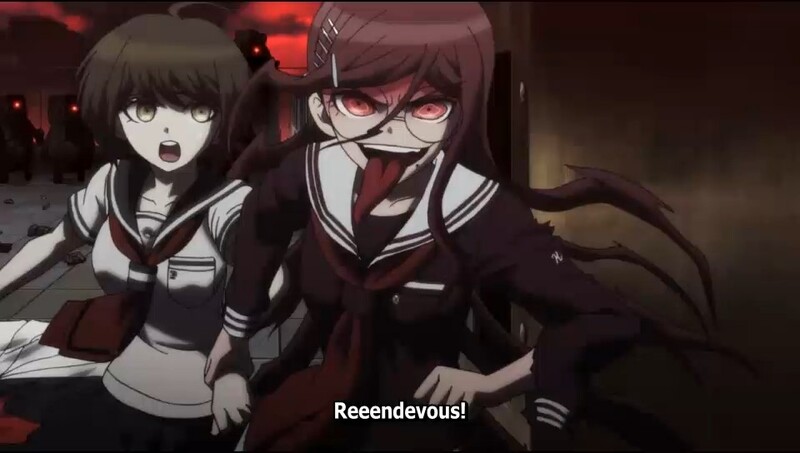 Of course Toko and Komaru would become friends, and clearly Monoca is the mastermind. In previous games I like how I was jerked around unable to guess “who did it?” The mystery slowly revealing itself through the clues and dialogue is something I look forward to in a Danganronpa game. Ultra Despair Girls, on the other hand, is pretty straight forward: “The only way to defeat the children is to fight them. Don’t worry though, you have hope on your side.” Don’t get me wrong, there are still plenty of surprises, but I felt that many of them revealed themselves in obvious ways. 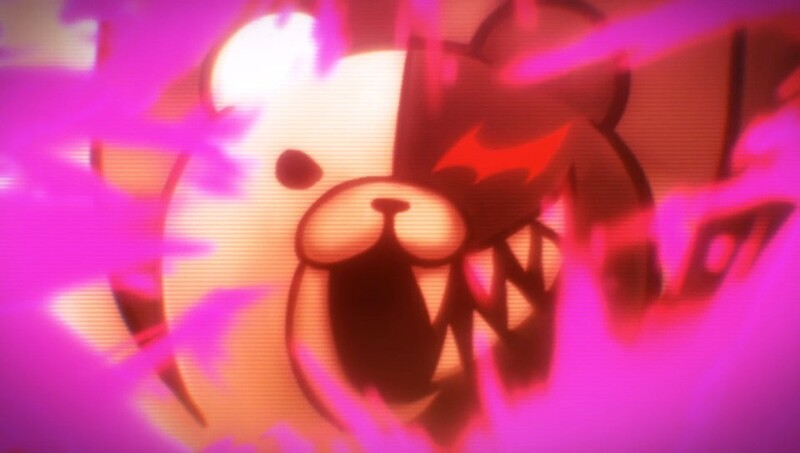 What I love most about Danganronpa is the 2D pop art, however, that has also been eliminated in Ultra Despair girls and almost everything is 3D. This works for the character design, but not so much for the background. While I understand that I’m maneuvering through a city ravaged by despair I felt that the levels were plain and repetitive. I found myself going through the same hallway, the same factory setting, the same town setting, the same sewer setting over and over again. I often lost track of how far I’d actually gotten in each stage because there was no way to differentiate between the different areas –it all looked the same. There were some levels that do pop, but it is not consistent throughout the game. Another steeple of a Danganronpa series is how violence is portrayed. Ultra Despair Girls maintains the same theme. 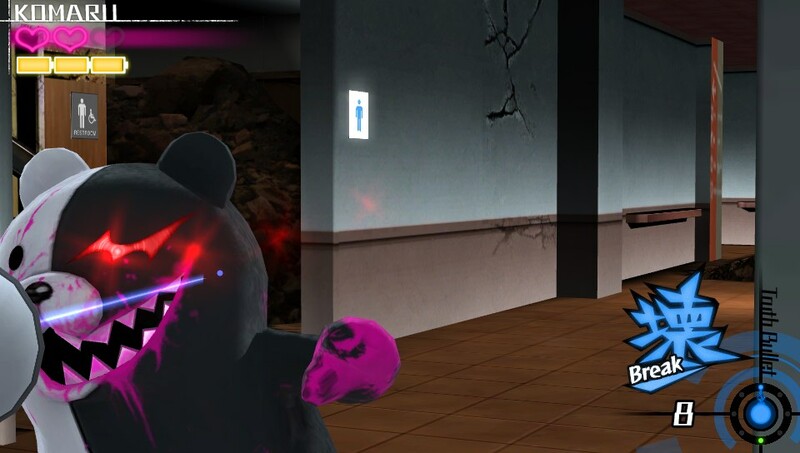 Pink blood splatter is still a prominent feature and in order to depict the magnitude of violence blue and pink bodies with minimal characteristics portray the adults –dead and alive– throughout the game. The cruelty of children becomes even more shocking when they jovially dance over and toy with the dead bodies. Sometimes I found myself gasping by the amount of bodies in a location or by how they were positioned by the children —Danganronpa didn’t hold back. 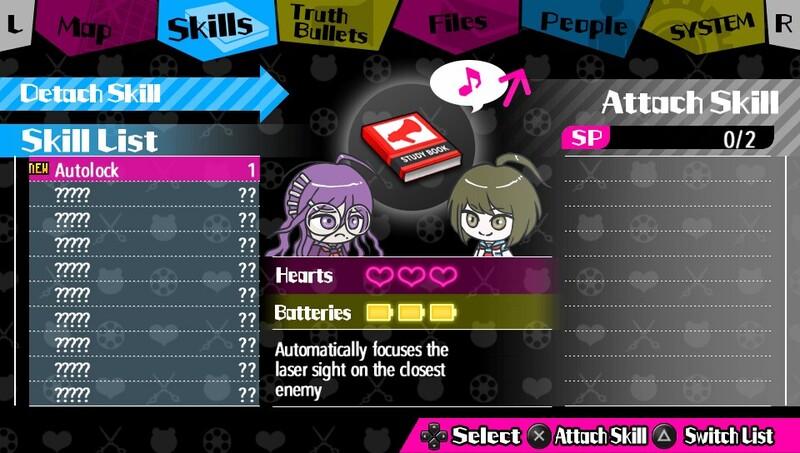 Since Ultra Despair Girls is an action-adventure game you are given the opportunity to blast away hordes of Monokumas with a Hacking Gun loaded with Truth Bullets. There are different types of Truth Bullets to help you combat different types of Monokumas so when faced with a mob of unending enemies you must strategically plan how to shoot them down. If you run out of bullets or find yourself overwhelmed, you can switch to Genocide Jack to slice the bears to shreds but her power runs on a battery that will, eventually, run out. You do not have unlimited ammo so you must plan your shots carefully. The game also isn’t entirely shooting. There are a lot puzzles that range from solving riddles to escape a room, or utilizing Truth Bullets to destroy groups Monokumas with a single explosion. Being able to shoot Monokumas down is loads of fun, but it would have been better if the reticle was easier to control. I found it extremely difficult to aim. When it looked like I was on the mark, it still took several shots to take down a Monokuma. Of course, you can upgrade your skills and bullets with Monocoins as you level up, but even so, the skill felt like it made no difference. The reticle control became extremely troublesome when I couldn’t aim it high enough because of the level design. Despite the reticle hurdle, I felt the game was too easy at times. Ammo and health dropped continuously throughout boss battles so I never really ran out –I never stressed when my bullets ran low because I knew more would drop. My last qualm with the game is how overpowered Genocide Jack is. 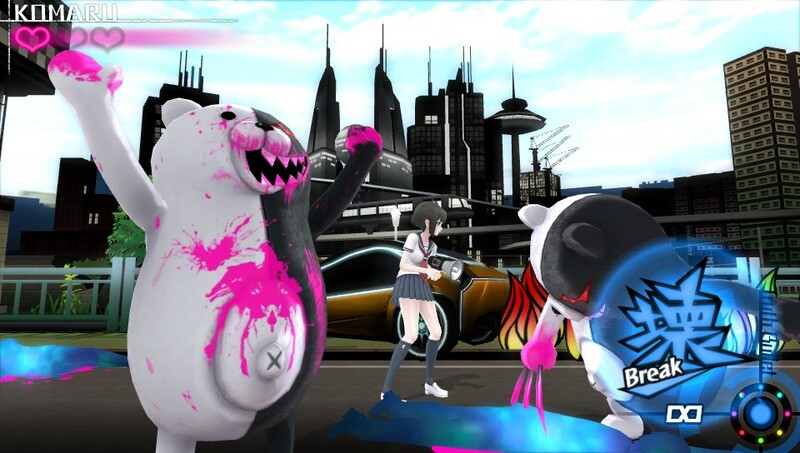 While she is limited by her battery, she can slice through multiple Monokuma and take zero damage when hit. Like health and ammo, batteries are also dropped frequently so most of the time you could just shred through groups of Monokuma with Genocide Jack rather than Komaru. While Ultra Despair Girls is meant to be action-adventure game I felt that it was too text heavy with far too many cut-scenes. Every time you found an item Komaru and Toko would have a long conversation over it. 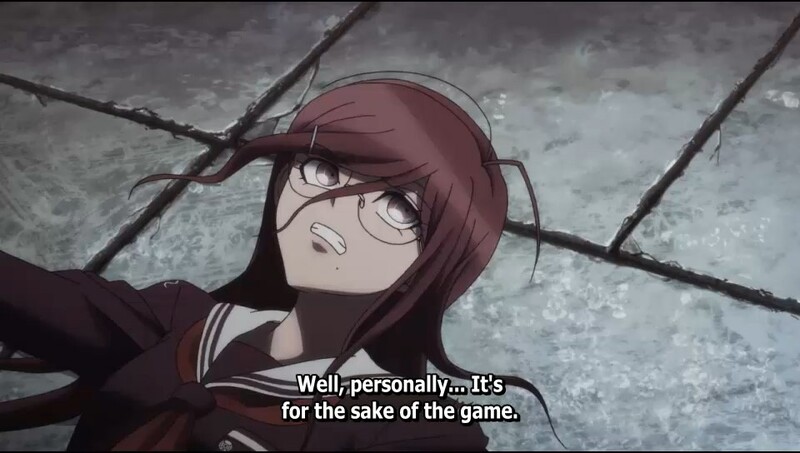 While the cut scenes help develop the friendship between Komaru and Toko, they were extremely long winded. Although, some of them were fun, especially Toko’s frequent snide remarks and her crazy fantasies of Byakuya. I might find myself picking up the game again. Like the previous games, extra content can only be unlocked by purchasing it with Monocoins. Sadly, I used up all of my Monocoins in the game buffing up my Hacking Gun. Although I have quite a few issues with the game play, I think Ultra Despair Girls fits nicely, story wise, between Trigger Happy Havoc and Goodbye Despair. Have you played a Danganronpa game before? Which one is your favorite? Let us know!